The Best Players Irons of 2018 Have Been Announced! Is it distance? Accuracy? Control? A little added forgiveness? We’ve found that it’s a combination of all of the above. This year we leveraged our testing facility in Virginia to deliver the most comprehensive, unbiased Players Iron Test in the world. For this year’s test, we have yet again refined our analytics and added another piece to the puzzle – statistical significance. Our 2018 Most Wanted Players Iron test has more iron models, more shots, and more reliable results than ever. If you’re in the market for new irons in 2018, this is for you. 17 of the top non-blade players irons were put to the test. The clubs tested, while not quite the butter-knife blades your grandfather played, maintain the workability better players demand and offer that bit of forgiveness we all need. Our rankings aren’t determined inside a conference room. We don’t have a panel, and there are no votes. The launch monitor is the one and only judge. For our 2018 Most Wanted Players Iron test, we collected a standard set of launch monitor metrics (ball speed, launch angle, spin rates, distance, etc.). Below you’ll find the data from our 2018 Most Wanted Players Test. Note that you can use the Iron Model filter to limit the display to specific models. Also note that, by default, we show the comparative metrics for long irons. To see middle and short irons, use the Iron Type drop down located on the top right of the charts. I know this is an older article, but how can a club with the largest shot area be the 2nd most wanted? Players Iron or Game improvement? How do you tell. I posed this question about the AP3 recently, and then I see that Golf Digest has published its annual club review and has the Sirxon Z585 as players irons (and only Silver at that) but MGS has them as the best of the game improvement lot. Who decides? Keep going back to my amp cell pro irons. The new MP line is pretty good in the MB and SC but the others don’t do it for me. Callaway forgings feel like crap. 718 AP2 spins the ball a ton. Only iron that would make me consider is the new 919 tour. But I’ll probably buy 3 sets over again just to end up back with my amp cell pro set. Good stuff. Keep up the good work. Just a thought for us left handers, I went to a mizuno fitting day at my local club off of the back of this data, to be fit for the MMC as wanted to change out my hybrids at the top of the bag. How can a club be ranked near the the top of best irons if the DONT make them in left hand??? Same boat. The SC’s are in lefthanded though. I think the Ping i500’s are going to be the stuff though. Not surprised by the soft forgings of the top three. I think if Miura CB 501 or KZG ZO blades were in the test they would be up in the top area of the test as well. I understand your testing but what I do not understand is the call being the most wanted Iron, by who and why. Wouldn’t the “Most wanted” be what people really want? The tests, distance, and height be the results of testing and not really what people want. I see nothinig about reality here, just facts. How about what a player sees when he puts them behind the ball, size and shape are very important;, and how about feel, balance, what impact is like in feel and sound, and what about the lofts. I see nothing about what really makes a most wanted Iron. Amen, brother! I was one of those testers who’s opinions you may have read about. I was one of the few fortunate ones to have been a regular participant in Golf Magazine’s annual “Club Test”. It’s a shame they changed formats and with the departure of Rob Sauerhaft, who was the managing editor and Club Test founder, it was doomed to die. I first wanted to become a part of it because when a subscriber and reader, it was easy over the years to identify with regular guys who’s handicaps, body sizes, swings and tendencies were like mine. Hearing their unbiased opinions and what THEY had to say resonated with me far more than what manufacturers and others who had some vested interest in a particular manufacturer said. That’s what motivated me to apply. plus I’m an equipment junkie and I learned more during those years than I could have imagined. I was fortunate to have been invited and even though I couldn’t participate any longer with demands on my schedule, I miss that format tremendously. I cannot believe that anyone would buy clubs for the way it looks. I have some Cryptocurrency I would like you to buy!! So you have the most comprehensive testing anywhere in the industry and you are talking about things that cannot be measured. Use this as a guide then go out and try them and see for yourself. Also, if you feel strongly about what you are saying make a “big” donation and I am sure Tony will accomodate you. And no I don’t work for Tony!! Love the analysis. It is hard for me to see how material the difference is between first and last. 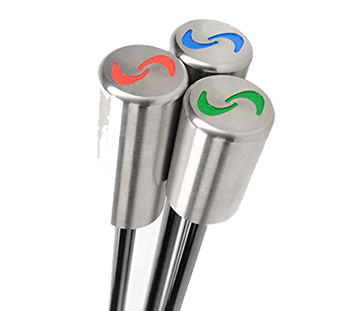 Is the first rated club going to save you 2 strokes over the last rated club? Or, is it going to save 0.2 strokes? If it is 0.2 strokes then I’m just going to get whatever looks best. If it is 2 strokes, that is a different story. Thanks. Can Toney comment on the lack of spin. 7 irons spinning at or below 5k? Assuming testing came from hitting off mats? if so, why? You start to see bigger differences when you look at “Distance to Hole”. This is the top column I look at because at the end of the day, that is what is most important to lower scores. My apologies Kevin. The response, i.e., “What’s it to you” was directed to the “Advertising” person who berated Hogan for denoting why the new FT. Black didn’t make the deadline for evaluation and thought it was tacky for Hogan to detail FT Black specifications is a forum. Again, my apologies!! Sounds like the TRUERank formula is now pretty much set after some tweaking over the past year an change. If that is the case (and tell me if it’s not), can we FINALLY expect to see this year’s winners (or top 3) matched up against next year’s crop of clubs? Thanks for the insight mygolfspy, love your tests! Some of the recent “Most Wanted” tests just have me baffled with the results. Firstly, how is it that the winner from last year (Wilson Staff Tour V6) has moved from 1st to 7th, being beaten by some irons that were ranked well behind it last year? Secondly, how is the Srixon Z765 sitting at 3rd place overall with rankings of 10th, 2nd, and 8th while the Callaway X-forged is in 5th place with rankings of 1st, 7th and 5th? Finally, in analysing the data myself (as a former data analyst), I cannot find the rhyme or reason behind some of the rankings as even when looking at a combination of carry, spin, proximity to hole and dispersion – there seems to not be great consistency in what parameter(s) have been given preference for the rankings. There is a great deal of randomness in these tests, particularly when compared against previous years data. The only thing I can take from this and most of the recent tests is to use it to determine clubs that perhaps perform very poorly (outliers) and exclude them from consideration. I would not suggest anyone go out and purchase a club just because it has made it into the top 3 rankings as they will likely be very disappointed in the results unless the club just happens to be a good fit for them. So, ignore the rankings and get a good custom fit after having a hit of everything that suits your eye. This is likely going to be a long reply, so let me start by saying that our methodologies and the way we crunch data are the best you’ll find on the media/youtube influencer side, but as I said in response to a similar question on twitter, they’re neither intuitive nor easily explained. Rewinding a bit…in the early part of 2017, we set a goal to implement strokes gained methodology by the start of the 2018 testing season. It’s reasonably easy to do with drivers and fairway woods, but once you’re dealing with hybrids, irons, etc. – anything you might define as a scoring, or at least a target club, it’s a bit trickier to implement in a test environment where it’s reasonable to expect that one company’s 7-iron will be appreciably longer than another. That’s deep weeds stuff that I had to figure out. So when the 2017 player’s test rolled around, we weren’t ready for strokes gained with irons, so we used a ranking system that attempted to aggregate different metrics (distance, accuracy, forgiveness) in a way that was logical. It wasn’t strokes gained, but it was an improvement over the past. Side Note – every year we’re always looking at ways to improve the quality of our tests – sometimes it’s a big leap (strokes gained), and sometimes it’s a small tweak to a formula, or how we handle outliers, that makes things just a tiny bit better. So to answer one part of your question – apart from having some different testers, we also changed the methodology significantly. Yes, the V6 fell in the rankings, but I have to be ok with that because results are now based off a single metric that paints a more complete picture of performance. As for why 10, 2, and 8 finishes ahead of 1, 7, 5. The first point is that we’re not simply taking an average of the ranks. That’s meaningless. The devil is in the details behind the difference between, for example, 1st and 10th. Hopefully, you read our how we test page before weighing in on the methodologies as this bit is discussed. As it explains we’re looking for statistically significant or reliable differences between clubs on a per golfer basis. So, with short irons for example (I’m just throwing out some numbers to make the point), the #1 ranked club could be in the top group for as high as 60% of our testers. We may even have multiple clubs tied 1, and by the time we get to 4,5,6…we’re dealing with plenty of ties, and so the difference between #1 and #10 might be as little as 15 percentage points. In the long irons, the difference between 1 and 10 could be 30 or more percentage points. So functionally, you have situations where the actual gap between 1 and 10 for one club length is less than the gap between 1 and 5 in another. Our rankings are based on the top group percentages not the rank number. The results may appear random when looking at aggregated launch monitor data, but the results are anything but. Integrating statistical significance and reliability into the methodology was something we had planned for next year, but we got a little help on that and fortunately, I was able to get it up and rolling for all of this year’s tests. As far as the group averages not making a ton of sense…they’ll give you some general answers, like longest, or highest launching, but take an aggregation of multiple launch parameters and treat it as if it was a single shot – only to be upset when the numbers don’t add up, frankly, doesn’t make much sense. It’s preceisely why we don’t use raw averages to determine our rankings. Ultimately, it sounds like you made a ton of assumptions without digging deep into how we test. The reality is that we’ve vetted our methodologies and this new approach with multiple OEMs and without exception, they agree it’s a better way to do things…even if it’s neither intuitive nor easily explained. Brad enters guns-a-blazin’… Brad exits in a BODY BAG. @Dave S – A truly immature reply worth no more than this single sentence response. @Tony Covey – Thank you for taking the effort with your detailed reply. Yes, I did make a few assumptions as the specific algorithm used to calculate TRUERank is not available to your readers. Your response does clarify some aspects of the methodology used to determine the rankings though. I still believe that the small sample size used in this test (20) as compared to the number of golfers that would be the target demographic for these irons means the level of confidence in the results would not be as high as it could be with a somewhat larger sample size. The exclusion of all outliers in the data set could also have an impact on the results depending on what was considered an outlier and how much the exclusion of these shots had on the final results (or, it might not depending on the decision on what and was not an outlier). Can you comment on the lack of spin. 7 irons spinning at or below 5k? To me every time I see these tests it just reinforces the importance of a custom fit. The MP18 SC is a beautiful club but at address the short irons looked too closed to me making it hard to get comfortable over the ball for someone who already hits a draw. The Titleist 718 CB (Not tested) and Ping i200 looked the best to me standing over them and in turn provided the best results. I Have played the FG Tour V6 for the last 18 months and nothing has beaten them but they are worn out from a combo of a sandy range and rock hard range balls, hence the testing of new irons. The fitter had my lie angle adjusted 1° flat to accommodate for this. Mizunos standard lie angle may be stronger than others to help avoid more severe slices? But anyways, yes that’s why fitting is so helpful as it dialed it my dispersion window to lessen my draw and help me shape fades more easily. It’s always amazing to me how important fitting is. I hit the ball like a dream with a standard lie angle. Bend that to just 2 deg upright and I’m completely lost. Go 2 degrees flat and I lose my mind. Okay, this looks like trolling but it’s a serious question. It’s a constant in the amateur golf world that these types of clubs are for the “better player” and GI are better for even mid-handicappers. Not a consensus but that’s the general sentiment I see. If that’s the case, why are the dispersion numbers so tight on these players clubs and so consistent, especially compared to the GI and SGI results from 2017? That would be something to look at…so I did. And the carry distances from the GI and SGI category “mid iron” from last year were actually shorter than these clubs. The best answer just might be that better/lowering handicap players are testing the players category. It just goes to show you that consistent ball striking is more important then how much help any given club will potentially provide for you. This is the obvious answer. Whoa. The MP18-SC dispersion figures for the 7 iron stick out like a sore thumb but in a good way. They might be on to something there. Worth taking a look. So who came in Forth?? True ranking. MP 18 SC, is that mid size or just an optical illusion? I have to agree with absence of Missy JPX forged sets? Surely a two time major winner playing JPX 900’s justifies evaluation?? 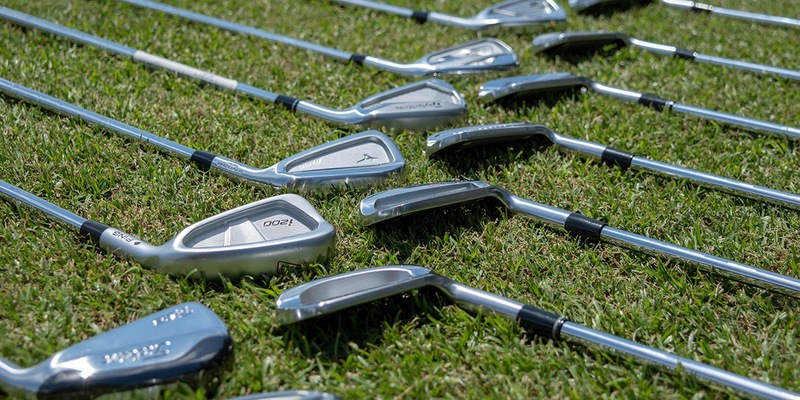 Ironically Mizuno did not send the JPX 900 Tour for submission into our Players Iron Testing this year – I believe they wanted to focus on the new MP-18 line that came out. or wait for the JPX919s. It is hard to get the 900s over here now. I read up on your true rank system, and your explanation of it in the past with the other most wanted test. 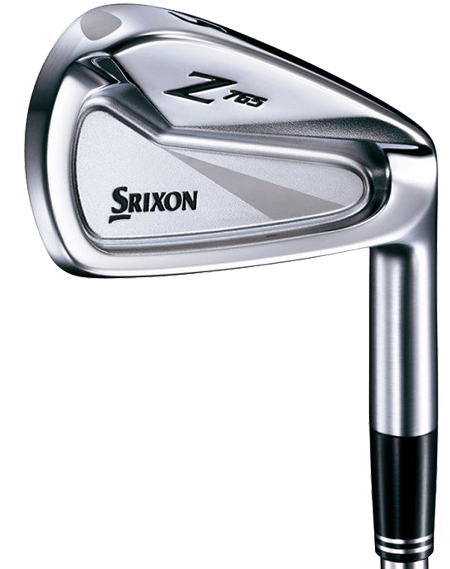 Srixon Z765 just looks out of place or shouldn’t rank above AP2 or Callaway X. For instance, Srixon placed 47% of the time among the tester, but looking at the rankings, it doesn’t add up. It placed 10, 2, 8, adding up to 20. AP2 and Callaway added up to 13 in the same fashion. Using the same math, the rankings makes sense for other manufacturers. Mizuno is adds up less than the other clubs, ranking them higher. It works with last place as well. Without having tableau to extract the data set into excel, can you explain this abnormality? The percentages are a reflection of the percentage of testers where a certain club finished in the statistically significant top group. So in simple terms – the Mizuno MP-18 SC short iron appeared in 40% of the tester group’s top performing groups. You think you can layer in that column for future iron test, and the overall ranking in your dashboard? For instance, aside from the short, mid, long iron filters, add the aggregate results and final ranking. Mizuno SC would show 33 testers were statistically the top performers, which gives us the 55% (same results). It would also give a quick disparity among the manufacturers. Starting hitting the MP 18 SC this year. Best clubs I’ve ever owned – distance, accuracy, workability – you name it. Nothing for nothing those TM 770 are pretty sweet feeling too. But with all clubs, you still gotta hit the sweet spot for optimal results! So happy to see Mizuno occupy the top two spots. And third place going to another company which prioritizes R&D over Marketing. Thanks for a great review, MGS. BTW, looks like the sorting on your TRUERANK column sorts alphabetically by the position instead of numerically by the percentile. Interesting that the JPX wasn’t tested as it was used by the US Open winner two years running. I’ve been torn between the JPX and the MP’s. Either way Mizuno seems to produce great clubs and has for decades. I just purchased new irons and was down to the jpx 900 tour or the mp18 sc. I ended up going with the jpx. I felt like they had just a little bit more forgiveness and I actually really like the sort of matte finish over the shiny chrome. Also, with irons, I think one of the most important aspects is feel and to me, the jpx actually had a slightly crisper feel to them. Obviously you can’t go wrong with either Mizuno, but I figured I would offer my two cents. My brother in law was also shopping new irons and made the same decision as me so I guess that is four cents. Good luck, and don’t underestimate the importance of getting the correct shaft for your game. Either head will be awesome, but make sure you get fitted for the correct shaft. The JPX 900 Tour ranked 3rd last year, just behind the Taylormade P770, so I think it’s safe to assume they’d slot right in at 4-5ish. Interesting they re-tested the P770 but not the JPX 900 Tour. Most likely because the MP18’s are the Players Iron, and the JPXs will be transferred to Game Improvement (Forged), SGI (Hot Metal), and Blade (Tour) but that’s just my guess. Mizuno decided to forego sending JPX 900 Tour this year as I believe they were intending to focus on the new MP-18 line, which seems to have paid off in this test. 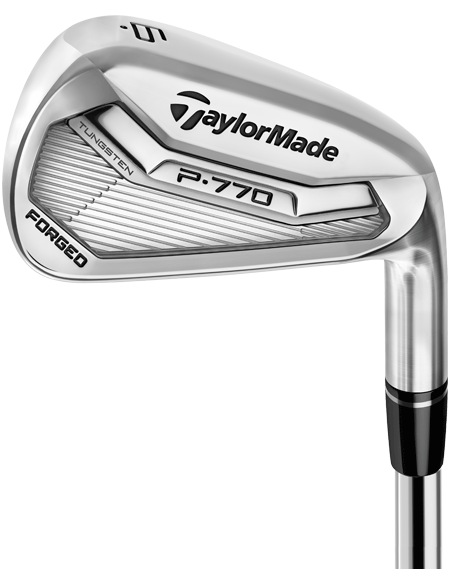 We tested P770 again as no new “players” irons from TaylorMade were released in 2018, whereas the MP-18 line is new to this year. TaylorMade declines to participate in our testing which leaves it up to us to decide which clubs to test. The P770s are a great iron and we wanted to again see how it would stack up against this year’s new gear. It is sad TM declines to participate in your testing. Out of curiosity, who else declines to participate? Personally, I think it’s says a lot when a company doesn’t want an independent reviewer testing their clubs. Actually, it isn’t the first time Taylor Made has declined to provide clubs for testing. One negative remark and they will not give you anything for testing. very sad!! So for the 16 different clubs you tested, my take-away based on overall distance and proximity to the hole is…..choose the one that LOOKS or FEELS BEST to YOU. Your strike is far, far more determinative of results than the tiny performance differences between brand/model within this class of clubs. On the course, you couldn’t tell their performance apart. Mizuno. Doing what they do. Quality in every iron and data to back up the sweetness of the feedback. Pure joy to hit a Mizuno. Unfortunately, our new Ft. Worth BLACK irons were not submitted to MyGolfSpy.com for inclusion in the ‘Most Wanted Player’s Irons’ test due to production timing. We will never introduce a product unless we feel it is worthy of Mr. Hogan’s signature. 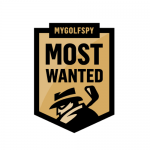 We know the Ft. Worth BLACK irons would have performed extremely well in this test, and we look forward to participating in upcoming ‘Most Wanted’ equipment tests to be conducted by MyGolfSpy.com. The Ben Hogan Golf Equipment Company is committed to producing the best-performing and best-feeling forged irons and wedges in the world. We are also completely supportive of MyGolfSpy.com’s independent and unbiased head-to-head player testing protocols. You did not submit your irons for testing- so don’t try and advertise through the comments section on the article – thats weak! Not hardly. MyGolfSpy can verify this, we could not have the production of the Ft. Worth BLACK ready by their testing date deadline. My Ben Hogan Ft. Worth forged blades carry very much like your results in your table. PW 48 degrees, 7 iron 36 degrees, 5 iron 28 degrees. I do not understand your total distance data, however. I see from the video your humans were tested hitting into a screen, using a launch monitor, I presume. None of my clubs come even close to rolling out another 10 yards, as your total distance column indicates. On what natural surface on this planet does a 7 iron roll out 10 yards? Certainly not a green with real grass. Please explain. Sorry Ben Hogan Golf, but I don’t think that further engagement in this conversation is going to win you any points with consumers. The Ft Worth may well be a very good iron, but coming out with a black version 3+ years after the Ft Worth’s original release doesn’t show any innovation or creativity. Titleist didn’t send in the 716 AP2 and Srixon didn’t provide the Z745. I switched to Fort Worth 15’s this spring and can say they should be categorized as game improvement blades as my golf has improved tremendously. Not the Blacks but the beautiful silver blades. The greens at my club are hard and fast, as well as the fairways, so my 7i can roll out 10 yards. However, at the public course near my house, the ball rolls back most of the time because the greens are so soft and I’ve planted the ball in the fairway there on occasion because drainage is no as good so it can get pretty damp sometimes. In reply to Tom: What’s it to me? I am simply questioning the data. It does not seem realistic to me (who golfs in America on public courses) that a 7 iron would roll out 10 more yards. I think it’s a fair question. By the way, I also own a set of Hogan Apex irons from the 1980’s that perform just as well as the clubs listed here. It’s not the club that matters, it’s the person swinging the club that matters. Completely unbiased and uninfluenced. I will always take your word over the “other guys” because I know that you’re actually looking for the best. I JUST picked up the MP-18 Split Cavity irons last week so i’m extra happy to see the results. One suggestion would I have would be that the MP-18 SC is perfect for blending your set with more bladey and forgiving lines of Mizuno. Thanks again golfspy! Pleased to see this!! I couldnt wait for the results to come out so I went and got fit and ended up with the mp-18mmc and could not be more impressed. These results just reaffirm my purchase decision. Interesting that the mid iron fell off for some reason. The MMC Felt better suited for my game than sc as a 10hdcp. Great work Mygolfspy! Keep it up! A friend of mine got a set of the MMC’s for Christmas last year. He absolutely LOVES them. Last time we went out for a loop I took a couple swings and thought they were nice. I went with Mizuno MP-18 blade/SC combo set. It was between that and the Srixon combo set. Both great irons. The Mizuno’s had a slightly better feel and a better look for me. Mike, I think you did it exactly right. Choose the iron in this class that FEELS and LOOKS best to you. From the data, the real world performance is essentially the same, club to club. In the age of “Jacked” lofts, it would be interesting to know if the individual irons were compared based on the lofts or just number on the iron. Was the 6 iron from Wilson at 34 degrees going up against the 6 iron from cobra which was 30 degrees? I don’t know if those are the actual lofts so it is just an example. Also, were the lofts checked to see if they actually were what they are supposed to be? Have found this is often not accurate. Were they bent to proper lofts? I think we all would agree, that has an impact on launch, decent angle, spin, distance (pretty much everything). If you have tested irons in this category, you know, they all feel great and perform great, you almost can’t go wrong as long as you are custom fit properly. You’re spot on! A few months ago, MyGolfSpy touted a partnership with Golf Mechanix for much of its shop equipment. MGS has done SpecTest reviews before using Golf Mechanix’s sophisticated instruments. Why aren’t the specs for all tested clubs provided??? Common MGS…..you’re DATACENTRIC!!!!!! While we will be producing spec measurement articles for every test we do later this year, our iron test groups were decided through measurement of each 7 iron and 5 iron. This year we’re testing four different categories: Players, Players Distance, Game Improvement, and Super Game Improvement. That being said, the variability between lofts of the measured clubs for any given category does not exceed 3 degrees, in fact, the Player’s category has the largest gaps. Players Distance does not exceed one degree of variability. The 7 iron for the Wilson V6 measured to 35 degrees, which was the highest lofted 7 iron measured for our Players Irons test group. The strongest two 7 irons measured were the Bridgestone Tour B X-CB and the Mizuno MP-18 MMC at 32 degrees. I hope this clears up any confusion. We always recommend getting custom fit to clubs for YOUR swing, but this test and publication is designed to give the consumer a better idea of what he/she could look for to perform well across an array of swing speeds and characteristics. Fourteen FH 900 are awesome clubs. Glad to see them in the mix. No great shock. 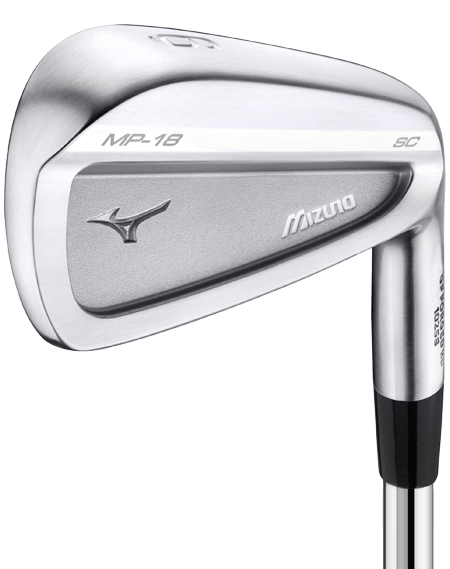 I currently play MP58’s and the best and nicest clubs I’ve ever used were MP33 blades……you just can’t beat Mizuno for irons. Which specific irons were used? PW, 6, 4? What specific short iron, mid iron, and long iron were used? This is awesome to see. I have been looking at various clubs including the mp-18s… I may just end up with a new set of mizunos in a week or two! Glad to see the Srixons in the mix. I switched from Mizzies to the 565’s this season and have not regretted it. Seeing more and more pros switching to Srixon as well . . . mighty fine irons! Accurate and well deserved. I play both mizunos and have been loving them. No sure how you can have a player iron test without true blades. No Callaway MB or Titleist MB? This test is designed to be a NON-blade players irons test. 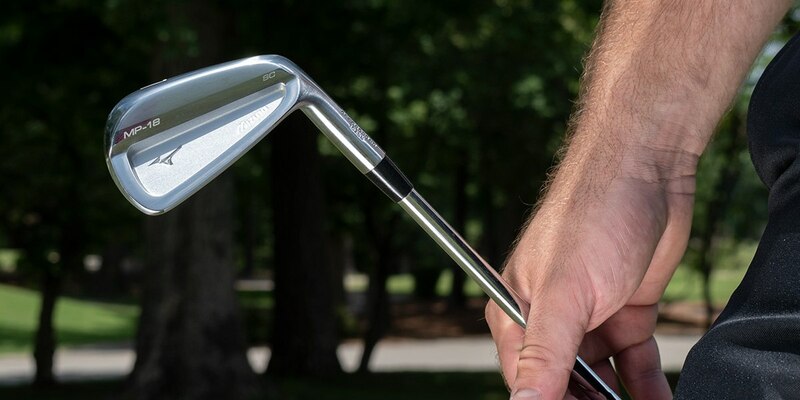 The percentage of the golfing public that is at a skill level to warrant playing MB irons is so small that it would be reaching an extremely niche market of our readers. In my honest opinion, amateur golfers shouldn’t be even considering muscle back options. Is there any chance MGS could do some club testing on an actual golf course ? It seems to me that the indoor club testing done is not especially relevant to the variety of lies and conditions found when playing an actual golf course. 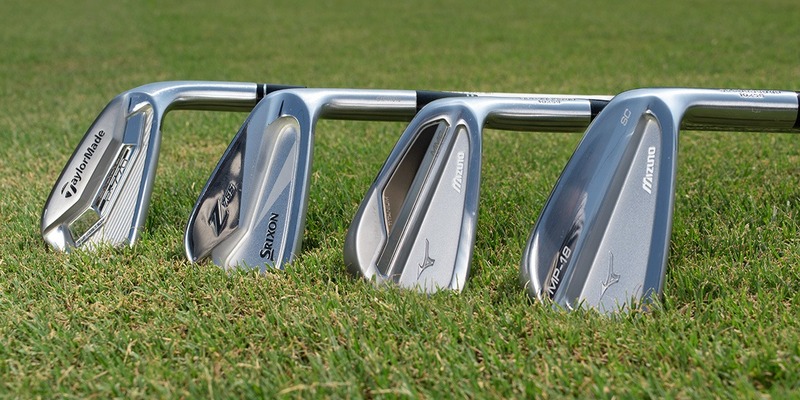 The top 2 irons are slight variations of the same model…impressive. Great work! Once again Mizuno shines. Blade test would be interesting to see, as the MP-18 is supposed to be quite “forgiving”. I’m still gaming MP-59s, but think I will be getting fit for a combo set with the MP-18 before the end of the life cycle. Once again, well done! Definitely a surprise to see TaylorMade near the top. I’d like to say I am surprised by the results, but I am not. I have hit all of the new releases this year and the two that jumped out at me were the Mizuno MP18SC and Srixon 765. Nice to see the data prove it out.